We help our clients locate track and manage their assets using today’s leading edge wireless and GPS based tracking technology. Equally important is our gateway or user interface to the Future Platform that is constantly evolving to give our clients a powerful easy to use experience. Using a street level window on the bottom of the screen gives you a quick reference point on the actual view of the location. We find this view to make the most functional sense. Anything larger would conflict with obtaining more useful information on multiple asset locations and directions of travel. 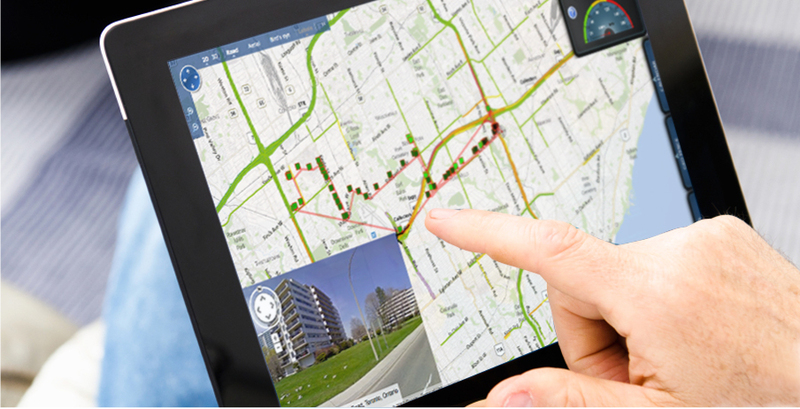 View vehicle activity in real time, as it happens—from any tablet or smart phone. All fleet activity is Q9 secured and vehicle history is accessible for as long as you apply your settings. To see where your vehicles were and what they have been doing, our real time GPS tracker is the ideal solution. This is live tracking. 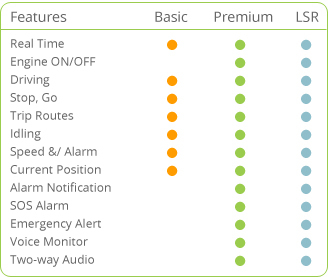 Unlike data loggers or passive tracking Future offers a REAL-TIME GPS tracker to all of our customers, as it happens. Real time coverage is extensive in today’s environment and if there are gaps in coverage our units upload data as soon as the signal is back in network coverage and live tracking resume. 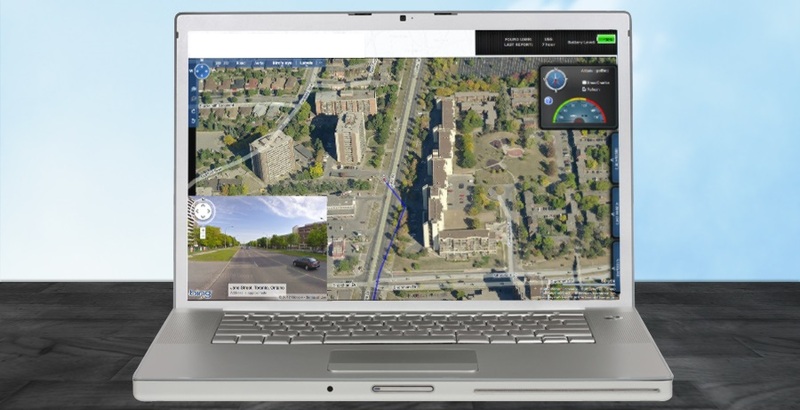 Future mapping system is licensed to use Google Maps, MapQuest and Virtual Earth. Whichever designs of mapping you prefer, we can accommodate. We will soon be offering our clients a mapping feature that we are very excited about. For our Canadian Territories we have an agreement to use Emergency Services Mapping System (ESMS). Police and Ambulance services depend on these maps to get to locations in record time to save lives, they need these maps to effectively do their jobs. Now all of our clients will have access to this service!! So if your company is creating new roads or doing deliveries in a new subdivision your assets will not appear in a field because your maps are dated. You will have accurate, current maps that give you the right information! 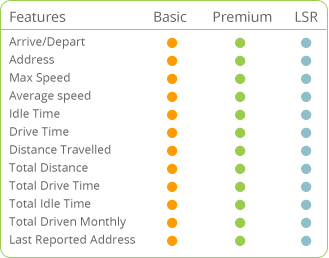 With various different reports Future Track software provides you with everything you need to manage your fleet. 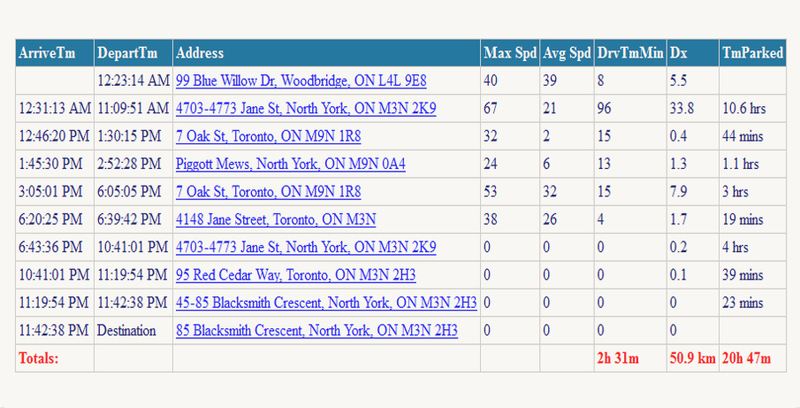 Whether it is 1 or 100 it is easy to track and our reports are broken down by Device, Zone, and Fleet. The fleet reports allow you to quickly isolate exceptions that you wish to keep an eye on such as those that frequently speed, idle or park too long. Identifying this data allows you to filter out some the information you may not want to see saving valuable time. Pinpointing the problematic areas saves you the trouble of finding the problem; and allows you to focus on SOLUTIONS! Some features we offer in are reporting are as follows but remember that we have custom solutions to suit every customers needs. Future Track can notify you via SMS or email. We can notify you when your assets speed excessively or when they enter or exit specific geo-zones. With numerous different notification options BLIP software keeps you well informed with the information you need. Making your Blackberry or Droid a 24hr assistant!! Our security features here at Future have gone beyond just tracking and distance travelled. 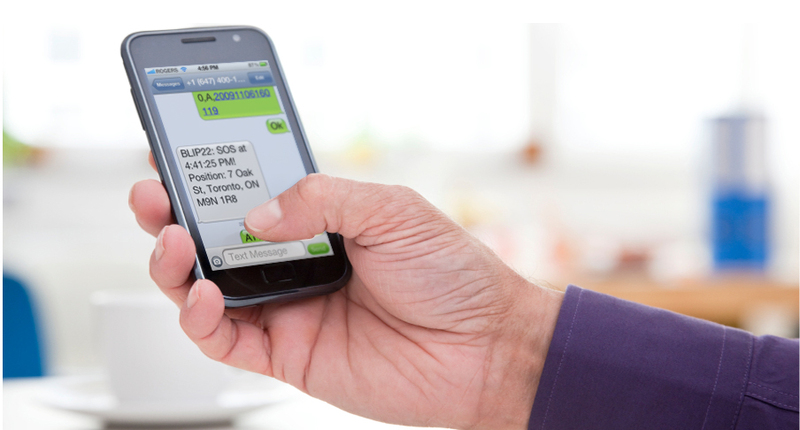 Our customers demand custom features and services that make Future systems a total solution. Disabling vehicles ignitions between certain hours of non-operation or email notification if the battery is disconnected are some standard features. 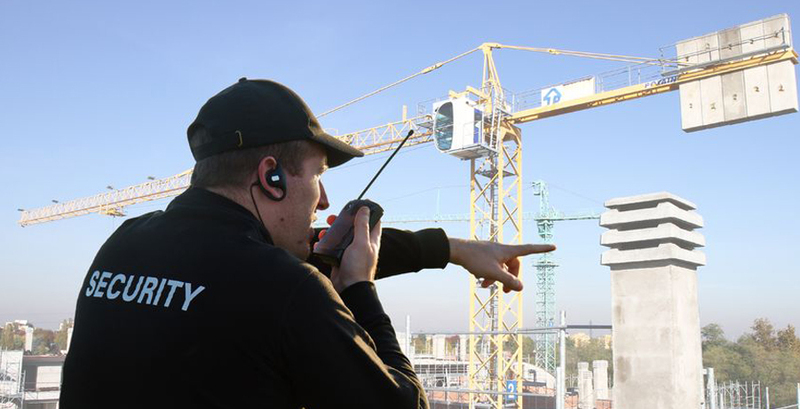 The LSR (Locate, Seek, Recover) service is something that we have developed to fill the crucial time gap between identifying a stolen assets location and securing it until the authorities arrive. We have partnered with local security service providers to be on call and to “SIT” on the asset monitoring its location from the security patrol car as well as from Future’s monitoring station upon report of theft. This allows us to secure the asset without interfering with local authorities. Often times they are slow in responding to theft calls because they are of low priority in certain areas. By offering this service we fill that crucial time gap assuring our worried client that their asset is still safe.